The finest duchess satin has been used make these wide width (30mm) detachable halters. 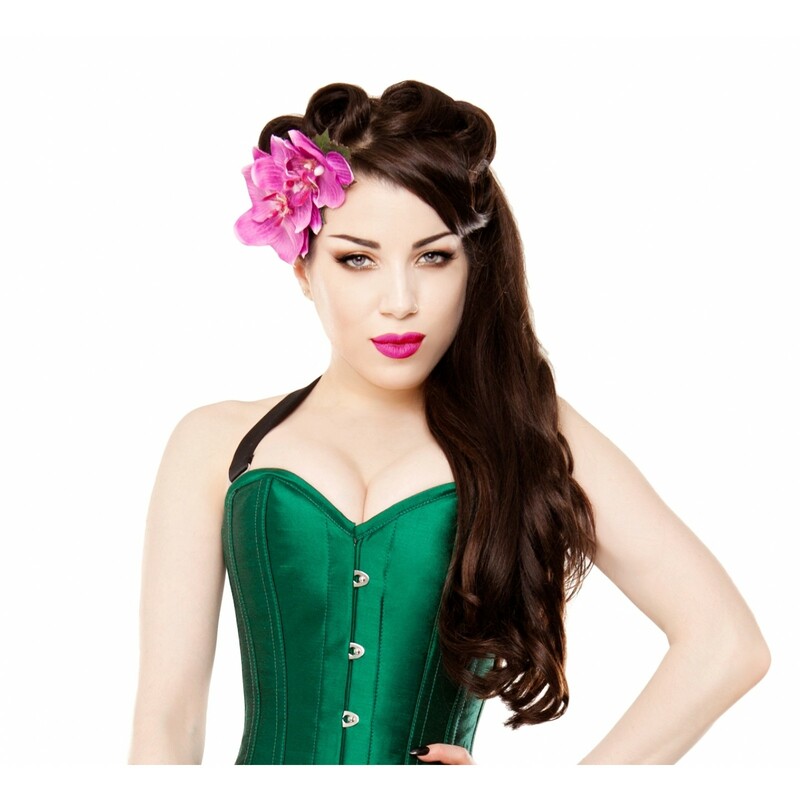 The halters are attached to the corset using the finest quality metal top hooks. The hooks are attached to the loops which are found at the top of all Kinnaird and Playgirl corsets. The halters are then tied at the back of the wearers neck. The metal parts and cloth of these halters are designed to look great and be reassuringly secure. The halters are a detail that can change the entire look of the outfit, it can change a corset from lingerie to outerwear. This is a pack of 2 halters.